We all know you shouldn’t judge a book by its cover. And we all do it anyway. For you, the impulse to make snap judgments may kick in the moment you lay your eyes on a new candidate. Within seconds, you’ve already made a series of lightning-fast judgments, both conscious and subconscious. She looks confident. He looks tired. She seems frazzled. He seems sharp. You immediately have a strong sense of how the interview will go. The real question is: should you trust that first impression? Fortunately, there’s now a boatload of psychological research on first impressions — or “thin-slicing” as it’s known in psych circles. And it suggests that your first impressions are very likely to match your lasting impressions (as well as the impressions of others). But it also suggests that we temper those judgments, which are often expressions of our unconscious bias, to make decisions that are fairer and more productive. There’s mountains of academic studies on the subject but who really wants to sift through all of it? Me. I do. You don’t have to. I’ve already done it. You’re welcome. Keep reading. You’ve got questions, science has answers, so let’s get going. Turns out that aphorism was wrong. By and large, first impressions are often accurate. End of blog post. Just kidding. Let’s dive a little deeper into the science. One study found that after watching just the first 15 seconds of a job interview, an observer could accurately predict whether the candidate would get an offer. Another study confirmed that,yes, “a short excerpt of a job interview can be predictive of hireability.”Still another study demonstrated that “after viewing 12 seconds of silent interviewee behavior” interviewers made hiring decisions that were largely inline with decisions made after the entire interview. Another study — this time focusing on professors — found that students who watched 30 seconds of silent instruction and rated the teachers on 15 criteria came up with results shockingly similar to those of students who took a class with that teacher for an entire semester. So your first impression in most cases will line up with your lasting impression. But, as we’ll see, that’s not always good. In the examples above, we see that first impressions are good predictors of how we’ll feel about someone in the future. But let’s be clear: whether we like someone is different from whether they’ll be good at their job. Yes, in certain roles like sales, likability is important. But the candidate who strikes you as ditzy might also be the best software developer on the planet. This is where bias can creep in. How someone looks can seriously alter your first impression, often unfairly. One dispiriting study found that moderately obese applicants — especially female applicants — were far less likely to be hired, even when taking qualifications into account. highly of taller candidates: every additional inch equates to about $800 extra in annual salary, such that someone standing 5’5” will earn $166,000 less than someone 6 feet tall over a 30-year career. A whole bunch of studies show that attractive people are more likely to be hired and offered higher starting salaries — even though they’re not any more capable than their less attractive peers. By recognizing your implicit biases,you may be able to scoop up some amazing undervalued candidates, Moneyball style. As we’ve seen, you might have a bad first impression for an unfair reason. What’s worse, starting off on the wrong foot can cause you to tumble into a vicious cycle. A study at Cornell University found that first impressions are often self-fulfilling prophecies: if you start with a positive impression, you’re likely to smile more and give off warmer nonverbal cues. The candidate will pick up on that and respond in kind. More dangerously,negative feelings also reinforce themselves. If you start with a bad impression, you’re more likely to act aloof, awkward, and uninterested, causing the candidate to do likewise. So if you feel yourself forming a bad first impression, try your best not to show it. Give the candidate the benefit of the doubt, and try to act as if they’re actually making a good impression — your positive behavior can bring out the best in the candidate and may allow them to alter your initial impression. Dazzled by the light, recruiters transform into sales reps, talking up the company more and asking questions less. Sure, as a recruiter, you’re both an investigator and a cheerleader —selling the company won’t hurt your performance, but getting less information will. Prioritizing sales over interrogation might be forgivable if first impressions perfectly predicted performance, but we know they don’t. Don’t get dazzled. If you think the candidate is great, pick your jaw up off the floor, ask more questions, and evaluate them with a critical mind. Take a step back and make a more objective,less impassioned assessment. You know the candidate is concerned about making a good impression — but first impressions are a two-way street,and the one you make might matter more. According to a recent study, 80% of candidates would take one job over another based on the personal connections formed during the interview process. So what’s the last word on first impressions? Trust, but verify. Your immediate impression is a good predictor for how you’ll feel about a person over time, but don’t let your(possibly biased) feelings cloud your professional judgment. Know your limitations, work to overcome them, and don’t forget to make a good first impression yourself. I suggest you tap into the site of the U.S. Small Business Administration (SBA), SBA.gov, as well as Score.org, a nonprofit that provides small business assistance. Both are top resources for local seminars and other types of help for newbies. The SBA’s Office of Women’s Business Ownership assists women entrepreneurs through programs coordinated by SBA district offices, including business training, advice on snagging federal contracts and tips on getting access to credit and capital. It oversees Women’s Business Centers (WBCs), a national network of over 100 educational centers. Consider hiring a career coach or a business consultant. https://skidbiz.com Personally, I’ve found that an unbiased outsider can help keep me motivated and focused on the next steps to take to keep my business viable. This kind of advice and accountability can be invaluable when you’re planning and launching your business. Retirement is a great time to start a business, when you no longer have the financial, family and time obligations you once did. But many people just can’t bring themselves to do it. These days, starting a business doesn’t necessarily require you to buy a space, have a brick and mortar store, raise a ton of money or hire employees. When you remember that, suddenly you realize that even the person selling Tupperware is running a business of her own. Starting a business may be a big cloud of gray to you right now, but when you tackle one thing at a time, you see that most tasks are manageable. How to get past it: Remember that turning your hobby into a business may be as simple as starting to charge for your signature jam, getting your business name registered at the county office and creating a business bank account so things will be easier for you or your accountant at tax time. You may not be the founder of the next Apple or Nike, but that doesn’t mean your business isn’t a business. When you remember this, the idea of a launch becomes less daunting. So you have a great idea for a business. Now what? Without some sort of direction, you’ll be stuck in Park for the rest of your life. The best way to create direction is to write a business plan — but it doesn’t need to be formal just yet. Instead, start actively working on the outlines of a business plan. What capital, if any, do you need to get started? Where will you sell and market your service or products? Online? In a store? On a seller site like Etsy? Do you need anyone to help your business get off the ground or is it more of a one-person gig? The top fear, in a poll of 1,000 Americans, is personal failure. That includes financial loss, unemployment and being alone. For many people, fear is also a major roadblock to starting a business. Many entrepreneurs have to actively work toward getting over a variety of fears including fear of: failure; not being an expert; being considered crazy; not finding the necessary funding and more. What am I truly afraid of? This is likely a number of things, so write them down in a list. How can I make it less scary or daunting? Come up with solutions, as simple or juvenile as they may seem. Once you know exactly what you’re afraid of, you may not be as fearful as you once were. When something has a “face,” it’s easier to overcome. A business is a complicated beast that requires you to hone a whole new set of skills to be successful. One of those skills is organization — being able to see every moving piece of your business, from finances to production. With a written list, you can determine what needs to be handled when, and by whom. This simple organization exercise can go a long way in getting your business off the ground. Many entrepreneurs run up against this problem quickly. They have an idea, but don’t know where to go next. Luckily, a few key resources will provide immense value to your business as you get started. An accountant: This is the most important resource for managing finances, including taxes, income and payroll. Entrepreneur.com: This site is bursting with expert tips and advice about starting a business. Search and you’ll likely find the answer to any entrepreneurial question. SBA.gov: The Small Business Administration is your one- stop shop for finding grant opportunities, getting expert advice and downloading important business documents (for free). Don’t let fear, your mindset or a lack of organization keep you from starting your business. Once you get past the hurdles, you’ll realize it was all worth it (and not so hard after all!). Demographics, automation and inequality have the potential to dramatically reshape our world in the 2020s and beyond. Our analysis shows that the collision of these forces could trigger economic disruption far greater than we have experienced over the past 60 years (see Figure 1). The aim of this report by Bain’s Macro Trends Group is to detail how the impact of aging populations, the adoption of new automation technologies and rising inequality will likely combine to give rise to new business risks and opportunities. These gathering forces already pose challenges for businesses and investors. In the next decade, they will combine to create an economic climate of increasing extremes but may also trigger a decade-plus investment boom. In the US, a new wave of investment in automation could stimulate as much as $8 trillion in incremental investments and abruptly lift interest rates. By the end of the 2020s, automation may eliminate 20% to 25% of current jobs, hitting middle- to low-income workers the hardest. As investments peak and then decline—probably around the end of the 2020s to the start of the 2030s—anemic demand growth is likely to constrain economic expansion, and global interest rates may again test zero percent. Faced with market imbalances and growth-stifling levels of inequality, many societies may reset the government’s role in the marketplace. Chapter 1 explores the impact of aging populations and the end of plentiful labor. The baby boomer generation powered a long but temporary surge in labor force growth. Now this group is moving into retirement, and labor force growth is slowing. That, in turn, imperils growth. Chapter 3 looks at how rising inequality could threaten growth. Demographic shifts combined with the next phase of automation will increase income inequality from already high levels. Middle- and low-income families are likely to be hit hardest, putting downward pressure on consumer spending and growth. Chapter 4 traces how developments are likely to unfold in the turbulent 2020s. Investment in new automation technologies should fuel a period of robust growth. When it tapers off—sometime around the end of the decade, based on our estimates—growth is likely to become severely demand constrained. Chapter 5 considers the outlook if governments intervene more actively in the marketplace to address economic imbalances. Their options include tax, labor market and regulatory interventions. The manner and likelihood of such interventions will vary greatly from country to country. Chapter 6 focuses on the practical business implications of these trends for leadership teams, including the need to adjust to a macro environment that veers between extremes. We call the coming period of upheaval “the Great Transformation” and define it through 10 interlocking themes, including the changing ages and stages of life, the rise of platforms and post-globalization in geopolitics. Our research indicates that the depth and breadth of changes in the 2020s will set apart this transformation from many previous ones. Which channel is best for your ROI? It’s and old familiar friend and most will concede the SWOT analysis is invaluable when making a big decision to purchase a new business or restart an existing one. However, its great for making other strategic and tactical evaluations as well. It’s a lot like taking corporate selfies. Identifying strengths, weaknesses, opportunities and threats on various issues can be a perpetual practice as your company matures and the marketplace paradigms shift. It is one of the most basic and yet most valuable multitools available to the business professional and while everyone gives it the knowing nod it remains underutilized. So use it beyond just those big picture applications. The versatility of the SWOT analysis is clearly revealed in a Google search of SWOT images. The hundreds of iterations crisscross from the basic and specific Starbucks versions to Novamind mind mapping (there will no attempt at covering that subject here). They are applied to lean management, sales force improvements, crisis management, competitive market analysis, revenue improvement and about any aspect of your business that can benefit from a closer look. I’m a big fan of co-creating solutions with lots of other associates. The SWOT process is well suited as a template for this. Bring your people together and ask them to give you a rapid fire version of what they perceive as the standout strengths of the issue in question. Write the items down on a poster size sheet. Give each person a limited number of stickers or post-its to “vote” on their most important entries by pinning them next to their top picks and add up the scores. Make a list, vote, repeat process for weaknesses, opportunities and threats. The result is a consensus of opinions that most can align with and a feeling they were part of the decision making process. Your ongoing conversations will now be driven by the results that everyone contributed to and buy-in is a beautiful thing. The SWOT analysis can help marketing focus, sales growth planning, team building and calamity avoidance. It can certainly accelerate changes, and be an essential step in making those mid course corrections that can make a solid difference to your company. Its uses are only limited by your business imagination. Heck, you can do an abundance of things with it, just don’t file the concept in your desk drawer and forget it. The process stimulates conversation between associates and it costs so little to implement as an ongoing practice. Good luck with your strategic planning. From starting line-up to bench strength Succession planning is the backbone of strategic human resources management. Its primary purpose is to provide information for the identification of candidates for replacement of managerial and other “key and critical” positions within the organization. It should serve as the basis for developing a human resources component to the strategic planning process. Thus, two immediate benefits of a well-thought out and executed succession plan are the building of bench strength through targeted allocation of development resources and creating buy-in from those employees so targeted. Avoid the forgotten binder outcome Succession planning should be an ongoing process, bringing top organization executives and Human Resources department leadership together to engage in a strategic dialogue. This is essential if the process is to be something more than a “fill out the forms” exercise. The more care that is taken in the succession plan’s development and use, the more efficiently the organization will be served over time. Conversely, without top management input, support and use of the succession plan, it will be nothing more than another binder occupying shelf space in the HR department. Accordingly, the plan should belong to the entire organization. It is as much about the process as the plan itself. Getting it from the horse’s mouth In developing the plan, lots of information may be gathered from personnel records; but addressing the employees to directly provide information about their career objectives, and development needs promotes buy-in and better quality of information. You should ask employees to “self-identify” their strengths, weaknesses and next position targets, as well as to identify possible successors to the position they currently hold. Keep in mind, though, it is ultimately up to Human Resources to edit and approve any employee-provided data prior to discussion with top management. Assessing for future performance potential An in-depth profile should be developed for each employee shown in the plan and should include a two or three sentence summary prepared by the employee’s organizational manager, describing the employee’s responsibilities, strengths and contributions. The employee should also be assessed for “performance” in their current position and “potential” for future career growth. HR should provide rating managers with standard forms and definitions for accomplishing this, to promote a uniform dialogue among rating managers. Is there no next man/woman up? It is important not to force employees into a successor position who do not objectively meet the requirements for success in the positions outlined in the plan. It is vital for the organization to know if there are no viable candidates for succession to a key position, to better understand the risks associated with attrition (planned or unplanned) and to be prepared with plans for external replacement if such better serves the organization’s strategic needs. If your business hires only one new employee every 90 days or less, the laundry list of costs associated with hiring, on-boarding, training and retaining good people might seem incidental. However, if you are like one of my clients, a homecare company that employed hundreds of in-home caregivers, you are in a constant hiring mode. Then all these “little things” add up quickly if you don’t have strong processes in place to identify and control them. The many expenses associated with a new employee start well before he or she does and should be recorded in a dedicated recruitment expense account rather than into any of several possible miscellaneous expense categories. Hard hiring costs are pretty self-evident but there are also plenty of soft administrative costs mixed into the process that you may want to capture as well. For example, you should assign the percentage of time spent by employees recruiting as hiring costs. You can estimate whole dollar amounts to allocate per hire, but you can’t control what you don’t measure, so capture these costs. Interviewing: In groups, first and second level individual interviews and perhaps a final interview by one of your executives. DMV check is a must for anyone driving on company business. And these all take place before the new employee is officially hired. Many of these are unavoidable, but being aware of them and minimize them when and where you can is the goal. Cross training is a form of job enrichment, it leads to increased employee empowerment and security and can help to reduce very expensive employee turnover costs. It can thus increase productivity, morale and more. It can help fill voids created by illnesses and vacations and demonstrates to staff that the company cares about employees’ career growth. In short, effective and efficient cross training programs will serve you well. Not every business can afford to offer a complete universe of benefits, but those companies who will compete most effectively for talent are offering benefits such as those listed below to attract today’s entitlement savvy candidates. Where do you stand with respect to the following? According to Eric Koester of My High Tech Start-Up, “estimates range from 1.5x to 3x salary for the ‘fully baked’ cost of an employee – the cost including things like benefits, taxes, equipment, training, rent, etc.” Hiring a new employee isn’t a decision that should be taken lightly, as it doesn’t fall lightly on the company budget. But without workers, there isn’t much work done. And that’s the bottom line for businesses; even though the investment may make the company accountant cringe, the potential in return on a good new hire continues to make the investment worthwhile. Social security tax of 6.2% on the first $117,000 in calendar gross earnings. 0.8% Federal unemployment tax (FUTA) on the first $7,000.00 in calendar gross earnings. For CA employers State Unemployment Tax (SUTA) of up to a maximum of 6.2% on the first $7,000.00 in calendar gross earnings (new employers start at 3.2% SUTA rate on the first $7,000.00 in calendar gross earnings. 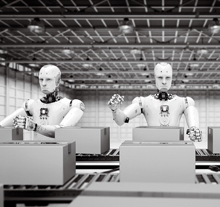 In the current economy where jobs are being eliminated by automation in record numbers it is increasingly important that hiring decisions be made wisely and as infrequently as your retention rate allows. I hope this article has helped to give some clarity and focus to your hiring processes. Most organizations begin with a business plan and an organization chart and a lot of enthusiasm, but eventually they recognize the need for a number of additional policies and devices that define who they are and drive their progress. One of the most fundamental, and the one we cover here, is your statement of Core Values. It will be the first step in drawing up the necessary documents and plans that will help animate your ideas into company beliefs and actions. These are the communications to all associates and stakeholders explaining what your enterprise wants to accomplish, what it stands for and where you intend to direct it. These are virtues that you post on the office walls and in the company newsletter that help to create the culture and the language of success that you want all associates to embrace. Core Values definition: Principles that guide an organization’s internal conduct as well as its relationship with the external world, its enduring purpose. OK, here we need to tap the brakes a little bit. Defining your company core values isn’t something you can (or should) bang out on a cocktail napkin. If yours is a small company then it’s core values may be an extension of your own personal beliefs that include your views on integrity, philanthropy, value creation and truth. If you are a non-profit organization serving the economically disadvantaged you may want to state diversity, respect and stewardship as your key identifiers. Either way some introspection will serve you well. Other tenets to consider may include: leadership, stretch, global, consistency, creativity and diligence. Typically this list will include the five or six items you feel are most important, but expanding to eight or nine isn’t unheard of. Tested them through daily decision-making. Remember that these could be under inspection every day in the issues of customer service, credit and collection and employee hiring and disputes just to name a few. So take some time and be willing to accept input from others in formulating the pillars of what your company stands for.